This is the time (and this is the record of the time)* gathers together nine artists who differ from one another in terms of age and geographical origin. 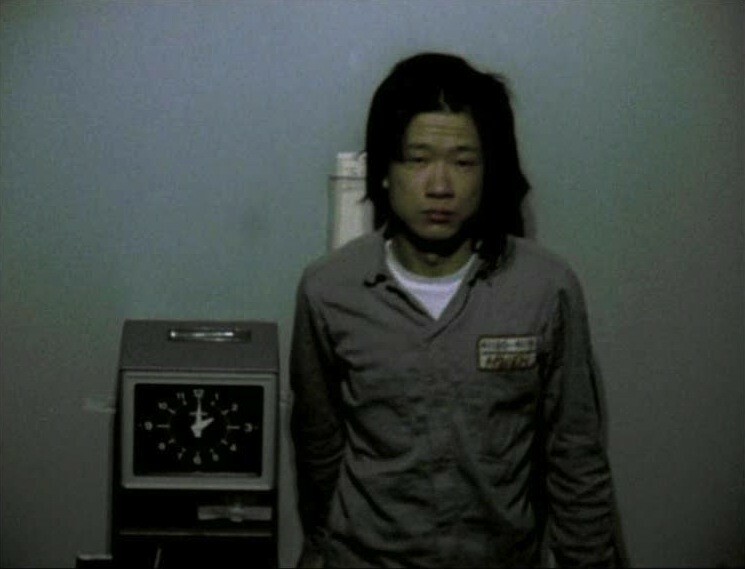 They range from Michael Dean, a young British artist who recently began to show in official venues, to Tehching Hsieh, a Taiwanese-born American performance artist who was working from the 70s up until 1999, and though he's nearly unknown in Italy, is regarded as a "master" by Marina Abramovič. They present their work for the very first time to an Italian audience, as does Paul Hendrikse. 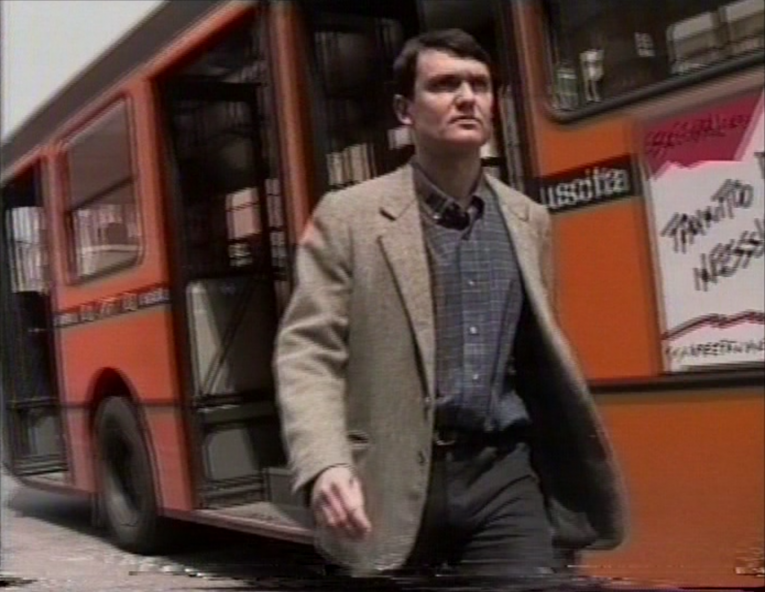 The title of the exhibition is an extreme synthesis of its contents. On one hand, there are works that show the passing of time while in progress, and on the other hand, works that preserve its trace. More explicitly, processes as they progress are shown together with their graphic, video, and audio-recorded documentation. From this point of view, we can consider the exhibition as a group of metronomes: some of them still beat time, each with a different velocity - the rhythmic unit, i.e. the beat, can be five seconds, ten minutes, four days, or two weeks long (these are the actual cycles of some of the selected works); others are run down, and the rhythm they'd been beating can be seen on the displays. (The resemblance of this image to Muro del tempo, the historic work by Enrico Castellani, is not entirely coincidental). And yet this is a simplification because things are more ambivalent and complicated. Video and sound recordings do echo the past, but they're also operative presences; they beat in accordance with the spectators' time with their loops, as well as they have been beating in the time of their authors. 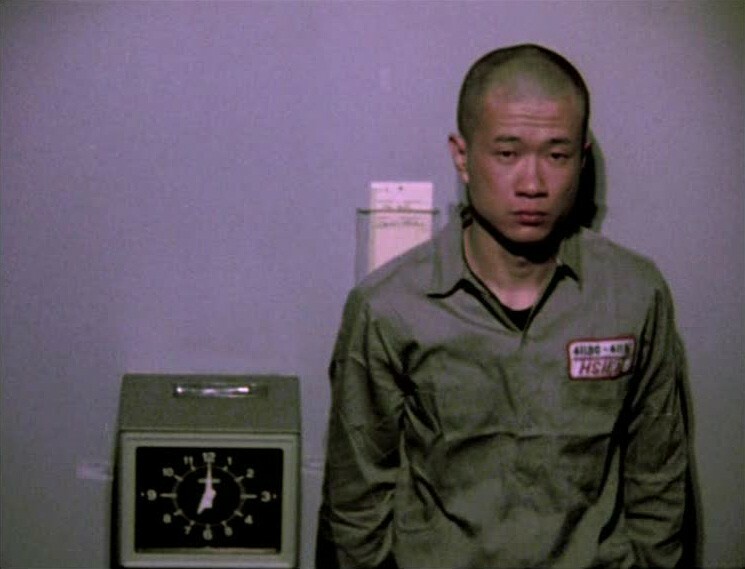 The work by Tehching Hsieh, for instance, was created in the space of a whole year but is presented as a six-minute long video. And, moreover, other works show time as the outcome of a manual job, whose dynamics can only be roughly reconstructed. 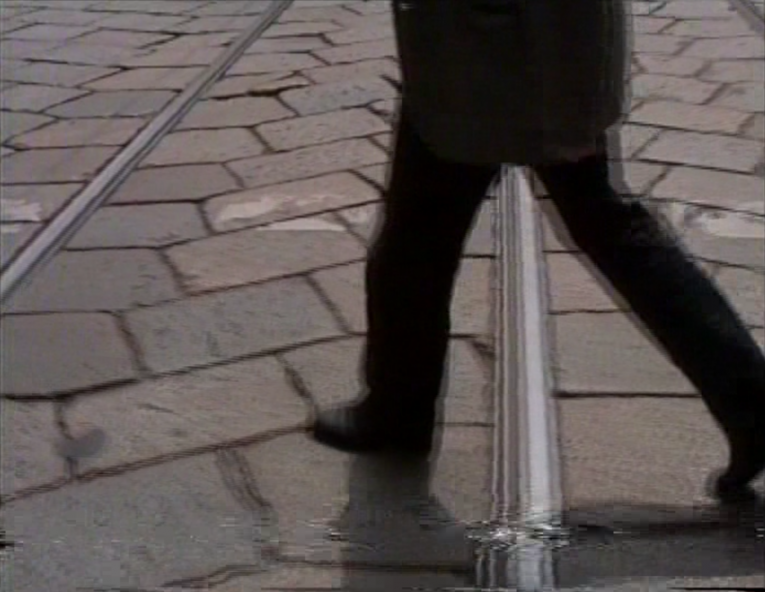 On an immediate level, the beating of time is committed to a simple, tangible, and objective means: a voice counting from 1 to 100 (Luca Vitone, Dominique Petitgand), the slow running out of a light box (Massimo Grimaldi), the transit of a cloud in front of a mountain (Paul Hendrikse), the gesture of folding paper (Michael Dean) and that of piercing it with a pin (Ettore Favini). Since time is a subject of capital importance, though, every little thing ends up with having a symbolic potential and an existentialist tone. 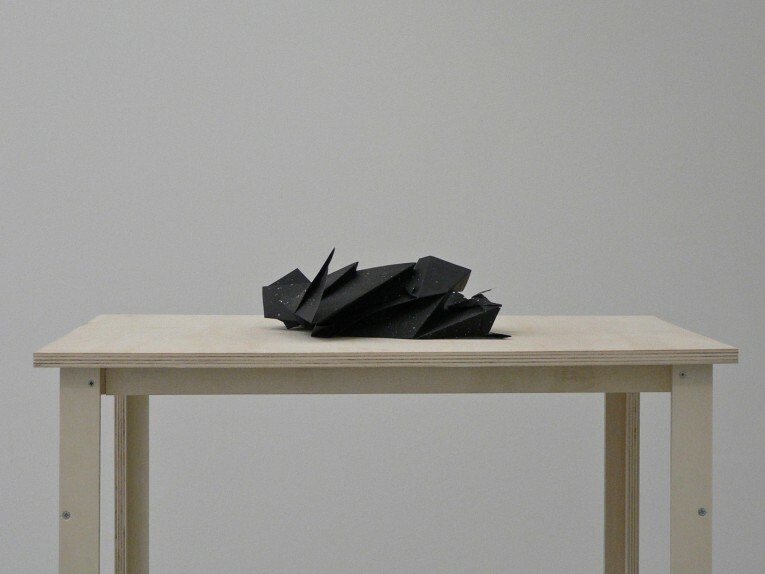 A roll of thermosensitive paper, which slowly darkens and turns from white to black (Albin Karlsson) immediately evokes the cycle of day to night and its non-reversibility. The attempt to outline the fleeting shadow of a pencil on paper (Goran Petercol) concerns the impossibility to stop time. And so on up to works that unequivocally express mortality and obsolescence. In so far as it indulges in an emotional inflection, which rarely happens, the exhibition is gloomy. There are no hourglasses, nor withered flowers, nor any other codified symbol of vanitas here, and yet such associations may arise spontaneously in the spectator's mind. The wish is that the works, both separately and as a group, would act as an anti-entropic emotional mechanism; that the pleasure of art would counterbalance and even overcome the eventual displeasure at its content. This was Giacomo Leopardi's persuasion almost two centuries ago, and this is our persuasion now. The issue of time is congenital to man; in other words it's an entirely subjective creation, and it is a product of the effort to face what is by nature fleeting and unattainable in order to try to understand and describe it. Presumably, it does not concern plants, nor insects, nor any other animal species besides ours: such entities are guided by seasonal changes, which have more to do with the weather than with time and are experienced through the senses, with the alternation of warmth and cold, darkness and light. St. Augustine of Hippo wrote, with regard to the concept of time: "What, then, is time? If no one asks me, I know what it is. If I wish to explain it to him who asks, I do not know." This statement is still perhaps the most profound remark ever on this subject, and it seems to explain examples pertaining to so-called "artistic" expressions (in other words, everything one can do and say that is free from the bonds of the useful and the contingent). The dimension of time is indescribable; it's not possible to give it a rigid form, because it changes according to the circumstances of the event and the conditions of the subject that attends or witnesses it. Having a strong, "anomalous" perception of time is a result of a personal experience, lived in a transient moment when one finds oneself hanging over the void in a condition of precarious balance: in this temporary void lies a certain idea of time, and trying to describe it is the same as breaking the balance ("The history of mankind is the instant between two strides taken by a traveller," in Franz Kafka's words). So the works that best express this perception of time are actually those that evoke it, by conveying to us for just a moment that same sensation of precarious balance that one feels when one is about to fall, the very moment after having jumped or flown off. Perhaps we could say that art itself, especially in the Western sense of the term, by both representing and evoking such a perception of time, is an attempt to freeze it, to fix it in a form; and this attempt results from the subject's discovery of signs, in all things and people, which testify to their constant motion and transformation. The 1980-81 performance by Tehching Hsieh, one of the artists invited to the exhibition (a Taiwanese-born American born in 1950, he formally retired from his artistic practice on December 31, 1999), lasted exactly one year: during this lapse of time, the artist had to clock in every hour of every day (a gratuitous action that had no connection with any paid job) as proof of the observance of his self-imposed obligation. 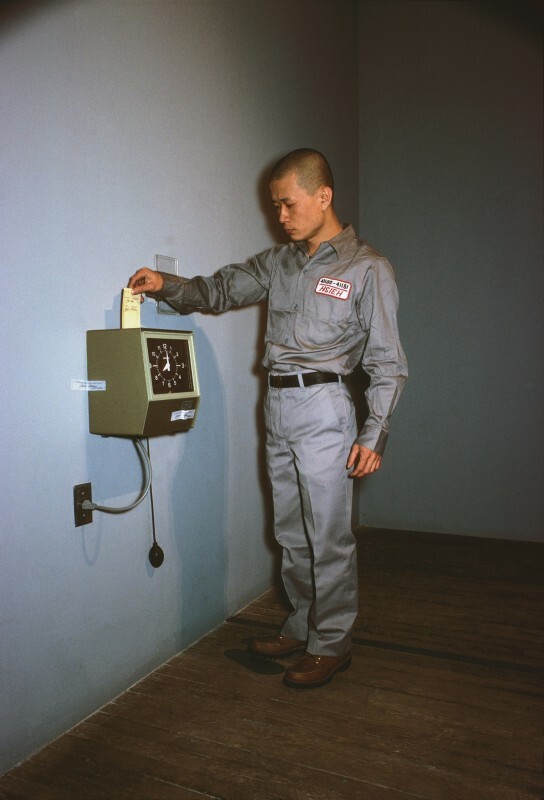 The performance was supported by photographic evidence: with its self-timer, the camera automatically captured twenty-four pictures a day (apart from a few isolated and unintentional exceptions). The animation in stop-motion (about six minutes long) which results from the assembly of these thousands of images, is an exceptional work, the insignificant waste product of a year totally devoted to a pointless activity. 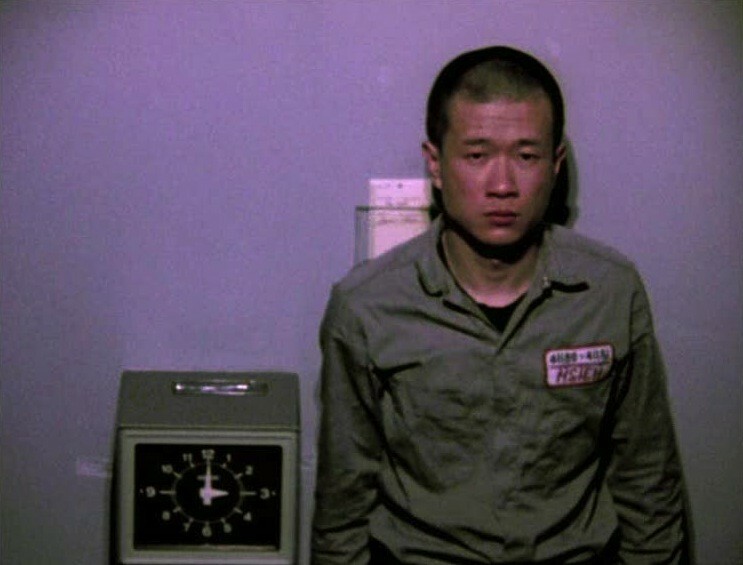 From the late 70s and throughout the 80s, Hsieh made several one-year performances: in all of these, the figure of the witness, i.e. the person who attends the event (or portions of it) and attests to its actual accomplishment, is ever-present and essential. 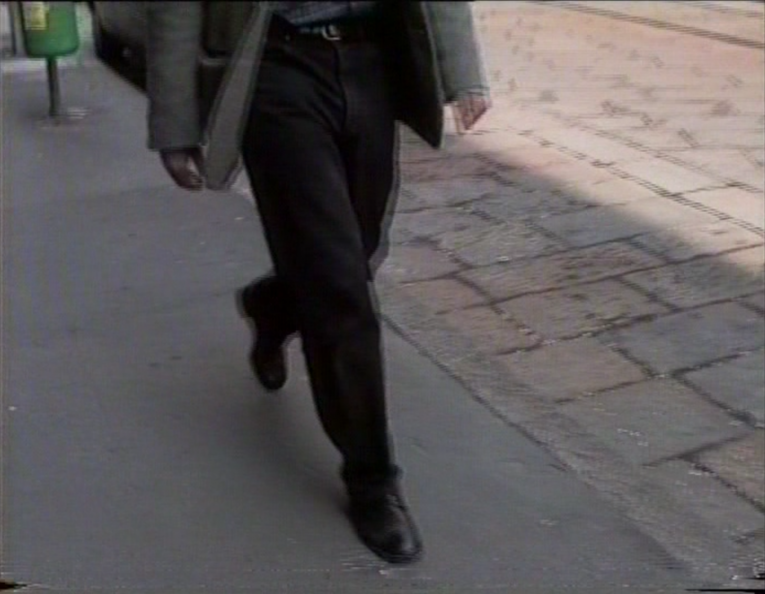 This figure, on account of its non-involvement with the experience of the artist (whose "personal time," for instance in the above-mentioned performance, is overlapped and obliterated by the real time marked by the clock), is the touchstone - seemingly neutral and passive but ultimately hovering between objectivity and subjectivity - that emphasizes the otherness of Hsieh's experience: his being "out of time" lies in the comparison with the witness, in which we can recognize ourselves, as well as in ordinariness**. The witness is necessary in order to measure time and our actions from a temporal point of view. For the last couple of centuries the main witness of time passing, in the short term, has been the clock (in the long term it would be the calendar), which replaced the sundial after millennia of use. But while the latter was irrefutable, superhuman, and dependent only on the unstoppable movement of the sun, clocks, be they mechanical or electronic, have a limited lifespan, and are also susceptible to external influence; what's more, they are ephemeral and untrustworthy, such that we often feel the need to consult two or three to be sure of the time. Occasionally (though increasingly rarely), in a railway station or in a provincial restaurant, one comes across an old clock that still works but in anomalous fashion, irregularly and intermittently: it's not that these clocks are fast or slow, they simply tell a time other than the "right" one, a time of their own, similar to the world of autistic people, disturbing to us because it is inscrutable and no longer subject to our influence, just like a tree in the mountain woods or a fish in the open sea. Well, one of these clocks might as well be included in this show. *: The title of the exhibition comes from a verse of the song From the Air by Laurie Anderson (from the album Big Science, 1982). **: In a passage from his novel The Crossing (whose title provides an appropriate definition of experiences of alienation from time as commonly thought: we might talk of "trespassing" or, in the word's etymological sense, of "delirium"), Cormac McCarthy brilliantly describes this figure: "Acts have their being in the witness. Without him who can speak of it? In the end one could even say that the act is nothing, the witness all." We thank the following galleries for their valuable help: Alessandro De March, Milano; Emi Fontana, Milano; gb agency, Parigi; Gregor Podnar, Lubiana; Suzy Shammah, Milano; Zero..., Milano. Special thanks to Renato Alpegiani.